The information contained in this blog is for general information purposes only. This blog is written by a group of individuals and may they have different voices and opinions. Every effort is made to keep the website up and running smoothly. However, we takes no responsibility for and will not be liable for the blog being temporarily unavailable due to technical issues beyond our control. For questions about this blog, please contact Admin (admin @ mannuforall.in). As blog is written by different writers, if misleading, inaccurate, illegal, copyright or otherwise inappropriate information is brought to our attention, a reasonable effort will be made to fix or remove it. Such concerns should be addressed to the admin. We believe in honesty of relationship, opinion and identity. The compensation received may influence the advertising content, topics or posts made in this blog. That content, advertising space or post will be clearly identified as paid or sponsored content. 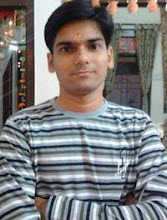 The owner(s) of this blog may compensated to provide opinion on products, services, websites and various other topics. Even though the owner(s) of this blog receives compensation for posts or advertisements, we always try to give our honest opinions, findings, beliefs, or experiences on those topics or products. The views and opinions expressed on this blog are purely the bloggers’ own. Any product claim, statistic, quote or other representation about a product or service should be verified with the manufacturer, provider or party in question. This blog does contain content which might present a conflict of interest. This content will always be identified. The owner(s) of this blog makes no representations as to the accuracy or completeness of any information on this site or found by following any link on this site. This blog also contains affiliate links which may received commissions for products that get sold through the links in different articles or featured links but we take care that the products we review are of the highest quality and beneficial to both we and our readers. This blog uses affiliate programs for monetization, which means when you click on links to various sites that recommend in different posts and make a purchase, this can result in a commission that is credited to this site owner. Some affiliate programs and affiliations include, but are not limited to, mGinger, Netfirms, Flipkart, PayPal, and many more. I have chosen to only recommend products in my articles that I use or have thoroughly researched. I earn a full-time living as an affiliate marketer and blogger, so my credibility online means everything to me. There are a lot of people who come here for advice, help and support. Therefore I take my responsibility as an affiliate very seriously. Text and image ads that appear in this blog are third party and sponsor ads. I do not personally endorse the products and services advertised in these ads. These companies are not affiliated with mannuforall.in. If you have questions about any affiliations on this website, please don’t hesitate to contact me. I’ll be happy to clarify or provide additional details if necessary. We respects the legitimate rights of copyrights owners and very serious all about it. Material published on this blog may be submitted by different authors or users or freeware to download on the internet. There are some material on this blog which is not made by us. The Pictures and trademarks used in this blog belong to the respective owners. The pictures are used for representative purposes only. These have been gathered from the internet, from free sites, friends, users etc. This site may contain many games, themes, software and other resources are reproduced from the forum or blog which generally available as freewares. If you found any violation of your copyright, please inform us, we will remove it within 24 hours.